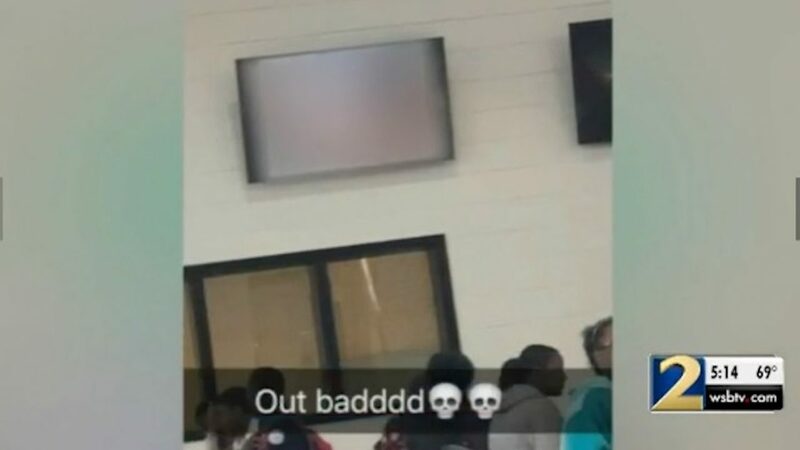 A pornographic video played on a cafeteria TV while students ate lunch Wednesday at a high school in Georgia. The principal at Mount Zion High School in Jonesboro ran from the room to stop the video after it started playing, but it played for more than a minute, according to WSB-TV. Some students were able to get screenshots before it was turned off. School officials said a student gained access to the cafeteria broadcast equipment, according to New York Daily News. The incident is being investigated and the student will be disciplined, the Daily News reported. How did students and parents react to the incident? Daphne Raines told WSB that her daughter, a sophomore, sent her a text with a screenshot of the video. According to WSB, the photo of the video was so graphic that the mother’s mouth dropped open when she saw it. After seeing the photo, Raines went to the school and checked her daughter out of class.